Ace reporter Graham shows he still has what it takes by scoring this Yamato YF-21 flyer during lunch today :-) Man, this toy looks hot! However, it seems like there have been some changes in the design since the last batch of prototype photos. Most notable amongst the changes is the addition of landing gear. However, I should point out that the position of the rear landing gear which appears to be mounted in the leg bay cover panels is actually incorrect. 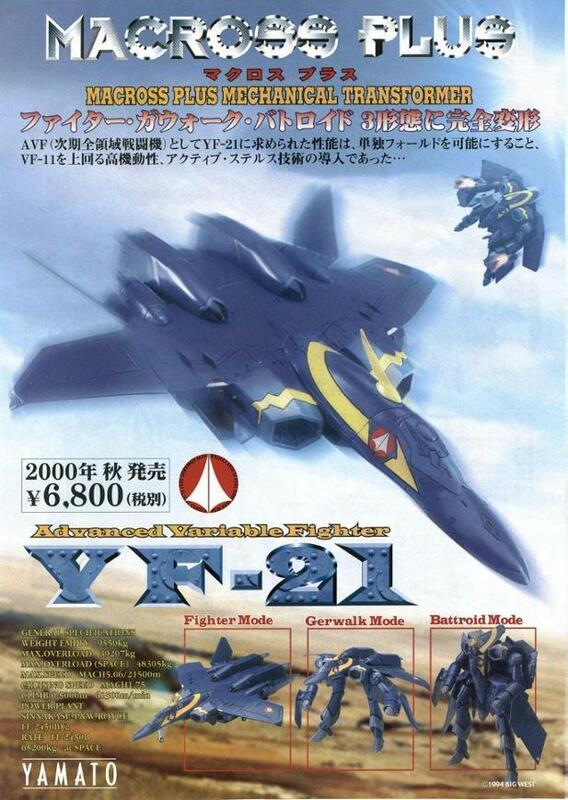 In the Macross Plus OVA and Movie, the YF-21's rear landing gear is very clearly shown as being on the underside of the wings, just next to the mid-wing hinge point. However, given the thinness of the toy's wings it would have been a huge engineering challenge to have the rear landing gear folding into the wings. You can also see that no gunpod is shown in the flyer. 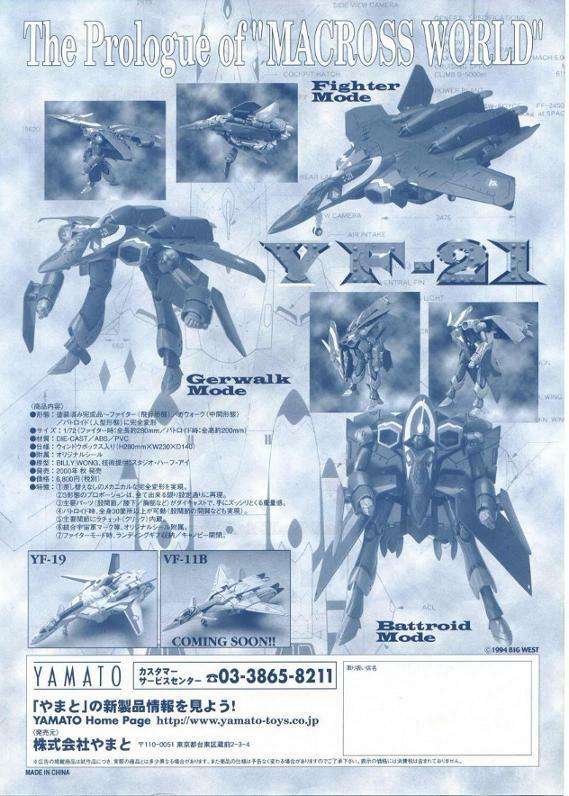 There will be NO gunpod with the YF-21. Maybe in an options pack or something if they do that down the road. One point of concern is the small hole at the bottom edge of the leg bay cover panels. In my opinion, the plastic around this hole looks too thin and could possibly be prone to breakage. Two pins mounted on a folding piece on the underside of the engines plug into these holes when in Fighter mode to hold the leg cover bay panels in place. The Studio Half Eye YF-21 garage kit uses an identical system (hardly surprising as the Yamato toy is basically a scaled up Half Eye kit).